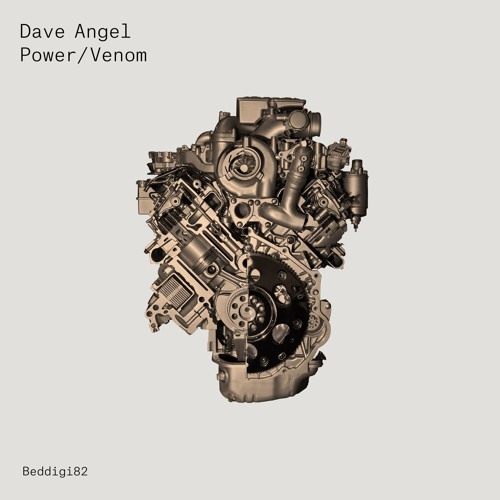 As the dynamic track titles suggest, Dave Angel wanted to go all out Techno for his new release for John Digweed’s Bedrock. “Power” and “Venom” are two monumental tracks to mark another supreme return to the label from the Godfather of the UK’s Techno scene. Knowing that John is a fan of that classic 303 bassline / acid sound and had previously given a lot of support to his “Tomahawk” track from the “Voodoo EP” (Beddigi47), Dave felt it was time to delve deeply into the favourite toys that he’s been working creatively for the last couple of years - the TR-8 and TB-3 machines from the new Roland Aira Range, for this latest offering. The distinctly weighty intro to “Power”, overlaid with the snap and hiss of perfect percussive hits, builds and builds with subtle ease via a simmering, bubbling analogue throb, sparse melodic flourishes and a supremely unhurried, teasing arrangement. The end result is a super-fuelled, energetic, euphoric masterclass of a track. Meanwhile, the speedy, hissing, bounce of “Venom” is also an instant winning formula, with layered, looping melodic hooks building all the track’s elements into a hip-swinging, funked-up monster. Both of these exceptional tracks demonstrate exactly why Dave remains such a driving force today, having evolved and matured stylistically over the years, since his early heart-stopping techno outings more than 2 decades ago.